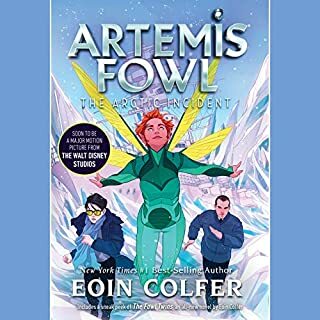 Twelve-year-old Artemis Fowl is a millionaire, a genius, and, above all, a criminal mastermind. But even Artemis doesn’t know what he’s taken on when he kidnaps a fairy, Captain Holly Short of the LEPrecon Unit. These aren’t the fairies of bedtime stories; these fairies are armed and dangerous. funny entertainment for the whole family. Artemis Fowl books have been in our family for over 10 years now. 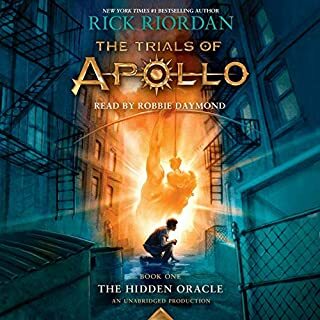 My thirteen year old, and last of the brood, got an Ipod for Christmas last year, needless to say the Artemis series plays almost non stop on her device, she sleeps to it, and dreams to it. This is a perfect series for that hard to buy for tween in your family. 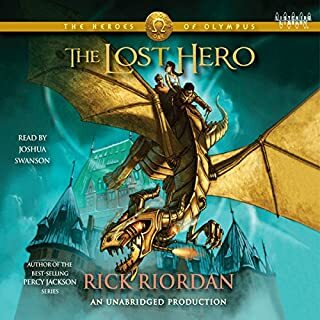 When I got MY Ipod I decided to listen to the series, I have enjoyed every one of them myself. 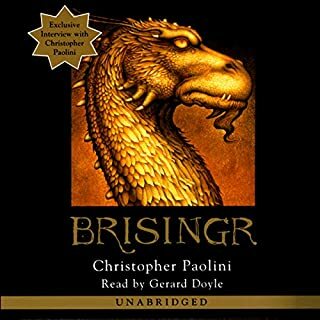 Even when you get past the enviro-preachyness of certain parts of these books, the series is delightful. Get it for your kids then enjoy them for yourself. You won't be sorry. If somemone would have told me, I wouldn't have believed it. 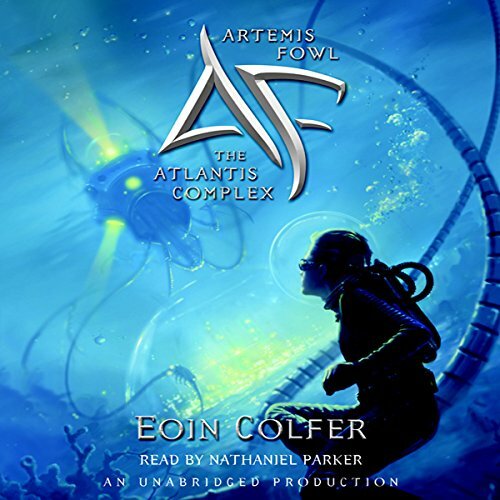 Is Eoin Colfer capable of writing a so-so book? Unfortunately, YES! I am an avid Colfer fan - and he hasn't lost me as a loyal! But, if I had to be truly honest, The Atlantis Complex left me wanting. 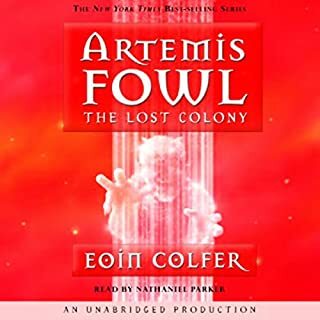 Did anyone else get the feeling that around 2/3 of the book, an important person popped his or her head into Colfer's office and said, "Times up!" - That's what it felt like. The book took so, so long to get going ... and then after a few minor scrapes and escapes, the villain is unseen (but for sure?) and the book is ending. It was very unlike the Artemis Fowls before that have gripped me until the last page. I will say that I did like Artemis' alter-ego, and the dialogue between he and Foaly were absolutely hilarious! It was great to have more of Foaly's character mixed into the chemistry, but that's about all I can say. 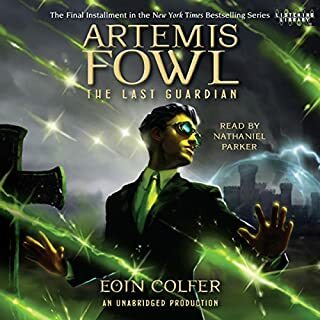 Nathaniel Parker does an excellent job as always, and I am THRILLED that Audible has finally learned their lesson on that one (NO one else will do for Artemis!) - but I am really hoping Colfer is back in his office, with the door locked this time, so no one can interrupt his spectacularly creative mind!!! 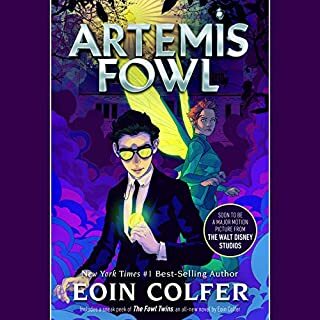 I have enjoyed the the Fowl series and this 7th book is better than the last one. Obnoxious characters try to out genius each other, inexplicable technological wonders are patiently explained, whirling action scenes, fights and admittedly improbable escapes (and non-escapes) abound and, of course, there are dwarf gas jokes. 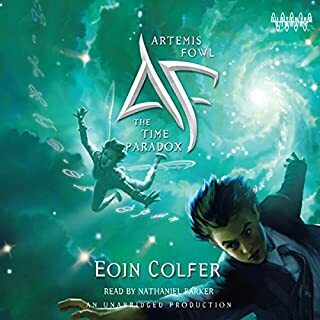 Eoin Colfer tells a good story and Nathaniel Parker makes favorite characters sound how they are supposed to sound- that makes for an enjoyable audiobook this time around. Colfer is a fantastic writer. I started these books for my son many years ago. He has outgrown them but my daughter has taken up the mantle. I love reading these books as much as my kids and I have read every book. I even ordered a few of his short stories off ebay. I cannot encourage you more to have your children read but Mr. Colfer writes a great story. His books are clean, fun, age appropriate for anyone, and just a pleasure to read. I think it is important for kids to read good books not just books. It helps build an appreciation for books when they are well written with plots, themes, full characters, and actual story lines. This one was only okay. The book semed rushed and not as tightly constructed as the previous books. Worth the read, but disappointing in comparison. Unfortunately, Atlantis Complex has struck at the worst possible time. A deadly foe from Holly’s past is intent on destroying the actual city of Atlantis. 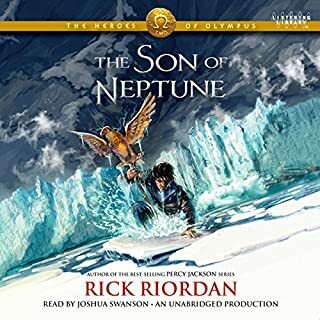 Can Artemis escape the confines of his mind - and the grips of a giant squid - in time to save the underwater metropolis and its fairy inhabitants? 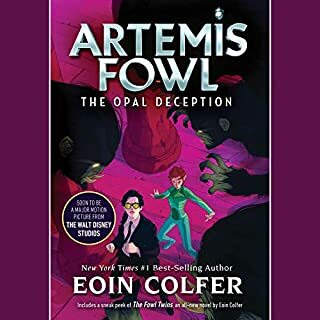 It’d been a while since I visited the world of Artemis Fowl, but this was a great way to reacquaint myself with that world. 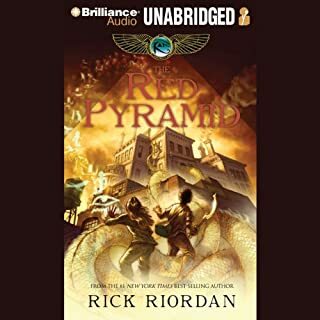 This adventure was filled with many exciting and poignant moments, and I found myself reading the adventure at every possible free moment I had. 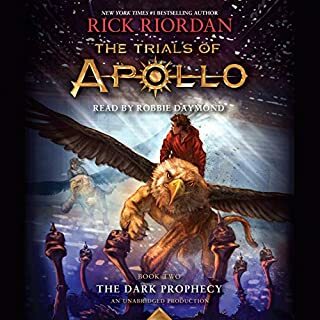 For the first time ever, I truly wanted to smack Artemis upside the head, but in fairness to our favorite teenage mastermind, he wasn’t quite himself. 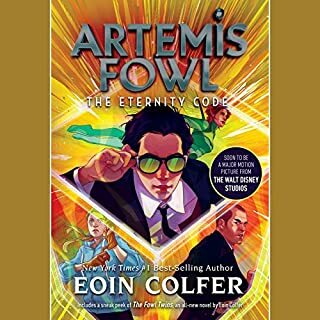 After finishing this book, I was eager to read the last installment in the Artemis Fowl series. I enjoyed the earlyer Artemis books, the main charicter was a hyper intelegent anti-hero. 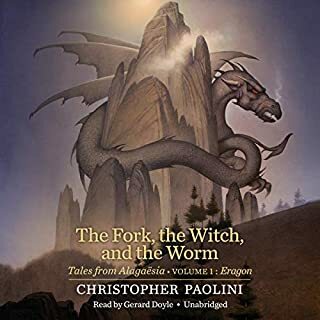 in this book however the main charicter has lost his mind and it seems the author has added this story on after the main arch is complete and decided instead of staring another one up, he would write a filler book. say what you want about global warming, but saving the world from CO2 emissions does not make for gripping fiction. I was a bit worried based off some of the other reviews. The story is entertaining, but certainly not as exciting as others and definitely not my favorite of the series. 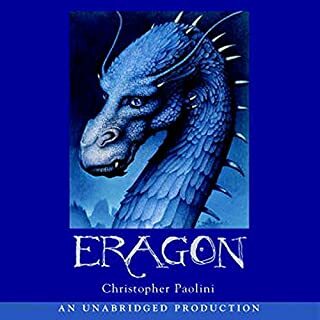 I do have a few issues with the story which I'll mention, as well as a comment about the production quality of this book (which was noticeably different from others). I'm trying to keep in mind I'm a grown man reviewing a kids book, but all my issues are in comparison to the high quality of the previous books. My biggest problem with the story was that it was really transparent. Whereas most of the other stories keep you guessing as to who's doing what and how things will work out and why, this story pretty much lays it out up front. The only unknown is right at the start, and the rest of the story is predictable once we are told who the antagonist is and see exactly what they are doing from their perspective. I get that things need to be recapped from previous stories in case someone's reading this book first, but seriously, who would do that?. 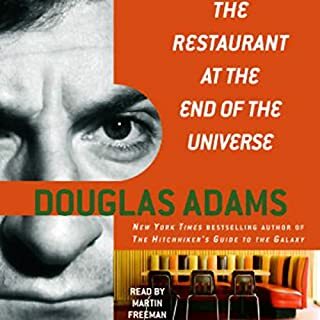 Usually this background knowledge is given in bits and pieces as things arise that the reader should know about or be reminded of (like the unusual abilities of dwarfs, which would be very strange if you it just happened without any previous knowledge). But this book started with a blunt specific recap of the others that really didn't develop as part of this story. I didn't think that was necessary, especially by the time fans are reading book 7. Also, the struggles Artemis goes through occur right from the start and I'm not sure I liked the way it was presented. Usually, things arise as part of the story, but here the issues are randomly preexisting having just happened at some point between the two stories. Just didn't feel well thought out as a story and seemed like an awkward plot device that predictably serves it's purpose later in the story. One thing I noticed that I haven't with the other books is something with the production quality. Overall, Nathanial Parker is great as usual. 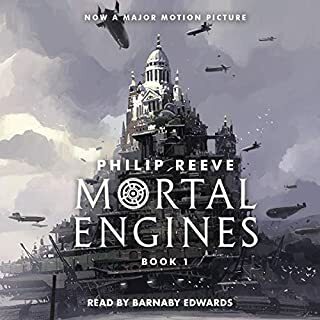 I know they record, edit and piece audiobooks together, but generally they are seamless and unnoticeable. There were multiple times where I caught the awkwardness midsentence where the recording quality, volume, and voice tone completely changed. Overall it's a fine story. 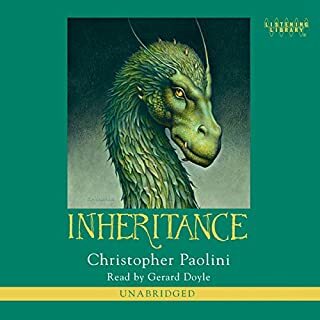 Not quite as engaging as previous books, and I think some of the plot devices were a little too unnatural to the story, but it's still fun. there was just too much going on at certain points it was almost hard to follow.